This immaculate penthouse condo features 3 bedrooms and 3 bathrooms on the 22nd floor of the distinguished Grand Panama Resort. The interior is newly renovated and has been decorated elegantly with top of the line furnishings and premier comforts. This desirable open floor plan is over 1,900 square feet with sparkling floor to ceiling windows and plenty of seating for everyone. A fully equipped kitchen includes utensils, gorgeous granite counter tops and stainless steel appliances. The massive private balcony is furnished for dining or lounging and may be reached from the living area or master bedroom. This breathtaking beachfront retreat will comfortably accommodate 8 guests. • Master Bedroom with Queen sized bed, LCD television, direct balcony access. • Spacious master bathroom with 2 sinks, a spacious garden tub and separate walk in shower. • 2nd bedroom with queen sized bed, a television and a private bathroom with double sinks, walk in shower and garden tub. • 3rd bedroom with 2 twin sized beds, a television, and secluded entrance to the shared 3rd bathroom. We have stayed in this same condo in the past. We love it & with the renovations it had, it was even more beautiful. 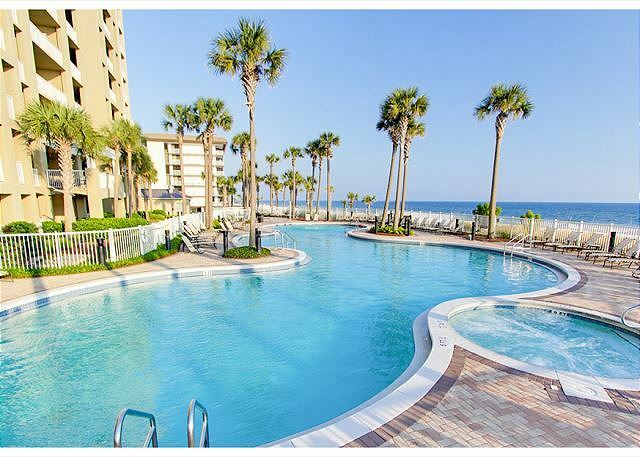 We love the property at Grand Panama & will return next fall! We have been coming to Panama City Beach for the last 20+ years! Very spacey and charming. Outstanding location and amenities. Our stay in 2202 was wonderful. The condo is spacious and very accommodating. There were four adults and three kids staying. We had no issues at all. The balcony is very large and the views are outstanding. 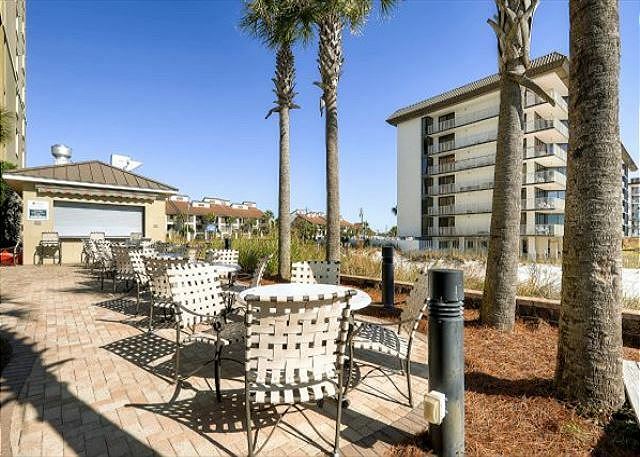 Brent, we are so happy to read that your stay with Book That Condo at Grand Panama was enjoyable! We are looking forward to your return to the Gulf! Beautiful place, wonderful view...loved it. Thank you for taking the time to share you review with Book That Condo, we are so happy to read that you enjoyed your stay, and we look forward to helping you plan your return visit to the Gulf! Perfect for group or family with parents! This condo was very clean, well decorated with the best views on the extra large balcony! The bathrooms are large a beautiful with large showers and big soaking tubs in two of the three bathrooms. The kitchen is very beautiful with granite counter tops and a wine cooler (which we used for beer as well). The kitchen was fairly equipped, however it did not have pot holders, sheet trays and a few other minor things, but we improvised. I would want to stay in this exact rental when we return to Panama. Thank you so much for taking the time to share your review with the Book That Condo Team. We are so happy to read that enjoyed your stay at the Grand Panama Resort! Thank you for providing feedback from your stay as well, we will get these products purchased and placed into the condo for the next guests! 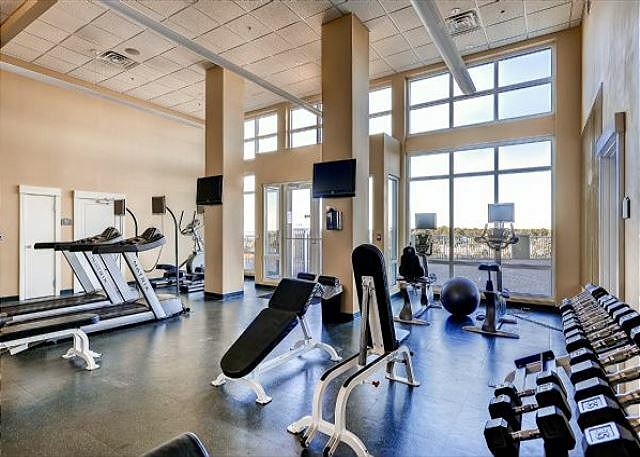 We look forward to helping you plan a return visit to this condo in the future. Nice and Clean, Comfortable Beds. Only one issue we had. Pictures were old and it did show Bunk Bed in one guest roon, But there were actually two twins - Probably part of upgrades or renovation. So My son had to sleep on sofa sleeper which was extremely uncomfortable. Other wise Fun Place to stay. Registration staff was nice, Parking enough, Poll and beach as expected. Great place to stay ! Thank you for taking the time to write a review with Book That Condo, we appreciate all of your feedback as we strive to improve with each and every stay. We apologize if there was a confusion when you booked your condo online, it looks like our photos do show two twin beds in that second guest room. Thank you for the feedback on the sleeper sofa, we will look into making this more comfortable for future guests. Please call our office when you plan your return to the world's most beautiful beaches. The condo was very nice. Everything worked as it should. Amazing views, large balcony. I would suggest cleaning the patio furniture due to bird droppings. Overall we had a great stay and we would return. Thank you for taking the time to share your experience with Book That Condo,we are so glad you enjoyed your large private balcony and the views the Gulf offers. Please, give us a call when you are planning your next visit to the Emerald Coast, we would love to welcome you back with a special discount. Thank you for taking the time to share your experience with Book That Condo. We are so thrilled to read that you enjoyed your condo and the beautiful sunsets from the 22nd floor. Please call our office when you plan your return to the Emerald Coast. We would love to offer you a special discount for returning as our guest. Thank you again for your business and for sharing your experience. We hope to see you soon! The property description for this Condo was spot on. There was plenty of room for our entire party. The balcony was huge and we enjoyed spending time outside listening to the waves. We had an issue with the air conditioner the first night. We made a call and someone came up pretty quickly to take a look at it. They realized a professional AC repairman would be needed and contacted one right away. The problem was solved before the end of the day. The unit was clean and well kept. The kitchen was large enough for everyone to have enough room while cooking a meal during our stay. I would certainly recommend this property as we were very satisfied with our stay. We stayed on the 22nd floor and had designated parking spaces - which was so nice! everything was great.condo was nice--but your email said we have to bring bath towels, shampoo, soap, garbage bags,paper towels, and toilet paper. I brought all this but it was all included..Had to bag an extra bag for a two day stay. Thank you for your kind words and the time you have taken to write this review! 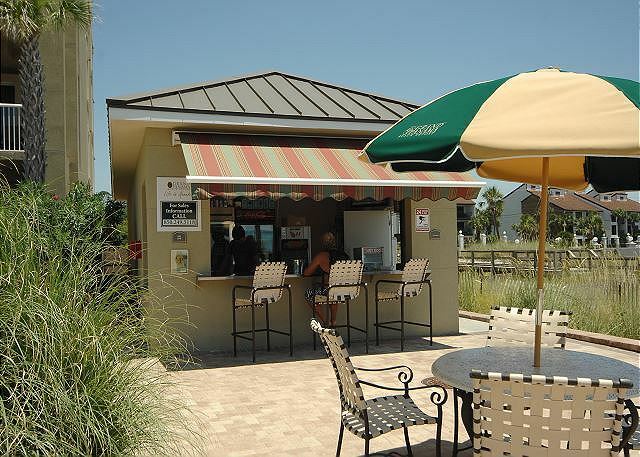 I am so happy to read that you enjoyed your stay at the Grand Panama Beach Resort! However, I am troubled by your observations regarding the information given to you in an email. I understand the inconvenience this must have caused. We are committed to offering the in best customer care while providing a well-maintained and comfortable atmosphere for all of our guests. I was unable to locate an email sent to you by Book That Condo informing you to bring those supplies, please call us if you ever have any questions regarding your condo. We hope you will call our office when you plan your return to the world's most beautiful beaches, we would love to offer you a special discount for returning as our guest. STUNNING UNIT!! Blissful Balcony Views! We stayed in unit 2202 with our two children and another couple with their child over Spring Break. Total of 7, and the space was plentiful. The unit was very clean, nicely decorated, quality furniture (except the bed mattresses - I'll get back to this), stocked kitchen essentials, upgraded appliances (even a wine chiller). The check in and out process was super convenient. The property location is perfectly situated on Front Street, close to restaurants and Walmart for shopping. The view was breathtaking. By looking at the pictures you would think we were in the islands. I could have honestly sat on the oversized balcony overlooking the ocean the entire stay. The only con was the bed mattresses. Each bed including the pull out sofa bed was extremely uncomfortable; very poor quality esp for a penthouse. We went out to purchase foam toppers after night one and all was good from there; so I'm still rating them 5 stars. Other than that; life was good in unit #2202. Thank you for your kind words and the time you have taken to write this review! I am so happy to read that you enjoyed your stay at the Grand Panama Resort! However, I am troubled by your observations regarding the beds in your rental unit. I understand your disappointment and the inconvenience this must have caused. We are committed to offering the in best customer care while providing a well-maintained and comfortable atmosphere for all of our guests. I can promise you that the highest quality standards will be met in the future and your concerns will be looked into further. Please call our office when you plan your return to the world's most beautiful beaches. We would love to offer you a special discount for returning as our guest. Easy to work with - Great Place! We needed a place to stay for a couple weeks because we were doing some remodeling. They put us in a penthouse suite at Grand Panama. It was really nice & clean & they gave us a great off season rate because it was January. Everything went real smooth & the place was nice and clean. Womderful Fall Break for our family. Very nice condo. Only a couple of complaints, the carpet isn the bedrooms is in terrible shape, only 6 wash cloths in the 3 bathrooms combined and the jets don't work in the jacuzzi tub in the master bath, but were were there 2 years ago and they didn't then either. Nothing that would keep us from visiting again. The folks at Book That Condo were great to work with! Condo was awesome! Had a great time at Grand Panama. I was very happy with my stay at the Grand Panama. Awesome view of the ocean. Even though it rained the first day I still went regardless of the conditions . Master bed was very suitable. When we first checked in there were ripped chairs and one broken drawer. I went to the front desk with pictures and by the time I made it back to my room the guy was already there fixing the drawer . Nothing could be done about the immediately, but it didn't phase me at all . OverAll great stay. Great experience. Love the room; however, carpet very dirty. Jetted tub in master bedroom did not work. Found bug-appeared to be a roach, maybe? Curtains in master bedroom were hanging as if they would not go all the way to the end. Otherwise, we enjoyed and will be back. Grand panama is a nice clean resort. Not to crowded on the beach which is very nice. The condo needs some tlc. The good about this unit is that it has its own private parking under main building, unfortunately no one at book that condo lets you know that's available. I called to ask about it and Stacy tells me that there was never any parking under main building. I don't recommend this place if interested in being close to pier park , there are just as nice of places to stay closer that are walking distance. It was a very easy and enjoyable experience. The view was amazing and the location was perfect. However, the condo was somewhat dirty (floors, carpet, and patio), The jacuzzi in the master bedroom didn't work, the t.v. in the master bedroom didn't work, most of the curtains were broke and wouldn't open or close correctly, and the water barely worked or came out of the fridge when trying to get a glass of the point where we just stopped drinking water. We called maintenance about the t.v. and hot tub, but they informed me that the owner was aware of the issue, but hasn't fixed it. And they didn't fix the curtains. There was also an issue with the dishwasher, but maintenance fixed it. Now that the bad stuff is out of the way, the beach and pool were perfect. And the location is close to everything. The complex in general was really nice and we loved the beach. If the condo would get a little TLC, it would be perfect. Great stay. We absolutely loved it, it is a beautiful condo in a prime beach front location, it is well-appointed with upscale accommodations, and came equipped with many of the necessities of home (too many niceties to list them all). Our only knock was that the carpets and floors were filthy, to the point the point you could not walk barefooted or in white socks within the condo without turning your feet/sock bottoms black. Very comfortable and spacious penthouse. Very clean. Well appointed. Great balcony and view.Bed was firm and comfortable but pillows need upgrading.Extra pillows or thicker ones would have made it perfect. Bit confusing as to who you are checking in or out with since there are 2 offices, one for the GP,and another for the mgt.company.That was no big deal. Beach was very nice. Great place ,we loved the size of the balcony & the view was fantasy. The condo was beautiful and we had a great vacation. The main TV stopped working and when we called maintenance we were told someone had to be there when maintenance arrived. It was 4-6 hrs before maintenance arrived. A faster response time would have been much appreciated since we were on vacation and didn't want to be "stuck" at the condo. Other than that, we had a perfect vacation!! The floors has not been vacuumed and the carpet was filthy. The beds were very hard and the master bedroom had a queen sized bed with only a sheet for cover. In a suite this large, a king bed with a nice matress is a must. Other than that, the condo was beautiful. The place I stayed in was very nice, plenty of space, and amazing view. The staff with Book That Condo were accommodating and easy to work with during my stay. I WOULD STAY HERE AGAIN. THE PROPERTY WAS VERY CLEAN AND WELL KEPT. THE UNIT I WAS IN NEEDED A LITTLE TLC AND CLEANING BUT OVERALL THE STAY WAS GREAT. I WOULD LIKE TO THANK ADAM AGAIN WITH BOOK THAT CONDO FOR THE ASSISTANCE HE GAVE US WITH THE A/C, REMOTE AND GETTING MY KEYS FOR THE PROPERTY. HE STAYED WITH THE A/C REPAIR MAN UNTILL 10:30 PM ON THE SATURDAY NIGHT AND FOLLOWED UP THE NEXT DAY. I will definitely rent from Book that Condo again. They made everything so easy and I love the way they call you when your room is ready, give you the access code and wala you are in your and headed to the white sand before you can blink an eye. The property was very nice, the condo was very nice. The problem we had was there was water damage in the master room closet and the entire condo smelled absolutly horrible. The master was the worst. Maintenance came to help but really did nothing to improve it. My husband & I left early since it was our room. The other 2 couples stayed. We were told by maintenance that there was a leak from the condo next door. When we talked to the people in that condo they said there was no problem in thier condo. No water damage, no leak. I wish we could have stayed longer but could not handle the smell in that room. I love Grand Panama. This was the first time we've stayed in the penthouse and I found it to be less nice than the other rooms. None of the remotes worked except the master bedroom remote and there was hair in the shower of two rooms. We will definitely come back to Grand Panama but will choose a different condo next time. We enjoyed staying at the Grand Panama and plan on going back next summer.